Lenovo launched Vibe K4 Note, the company’s latest mid-range smartphone and the successor of last year’s K3 Note in India recently at Rs. 11,999. Even though it has a 5.5-inch display and offers Dolby Atmos audio experience, similar to the K3 Note, this has a completely different design and also includes a fingerprint sensor. For the price, specifications of the smartphone look good on paper. How about the overall experience? Let us find out in the complete review. We unboxed the K4 Note recently, check out the unboxing video. The Vibe K4 Note has the same 5.5-inch display with a resolution of 1920 by 1080 pixels and a pixel density of about 400 PPI. Since it has 450 nits of brightness, it is bright, offers vibrant color output, sunlight legibility and the viewing angles are good too. Even though the display is glossy, it doesn’t attract fingerprints easily. It also has Corning Gorilla Glass 3 protection to prevent the display from scratches. 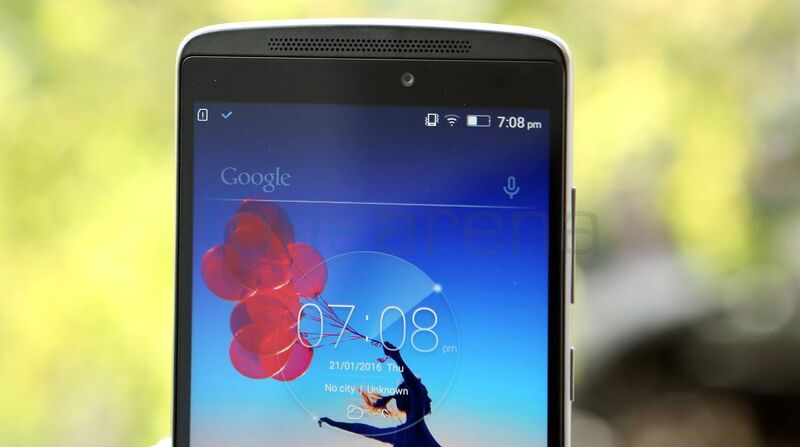 It has a screen-to-body ratio of 71%, almost similar to the K3 Note, even though this has dual front-facing speakers. 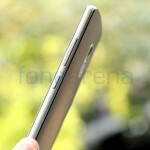 It has a 5-megapixel front-facing camera with OmniVision OV5693 sensor and f/2.2 aperture. The front-facing camera is good for selfies and video chats. 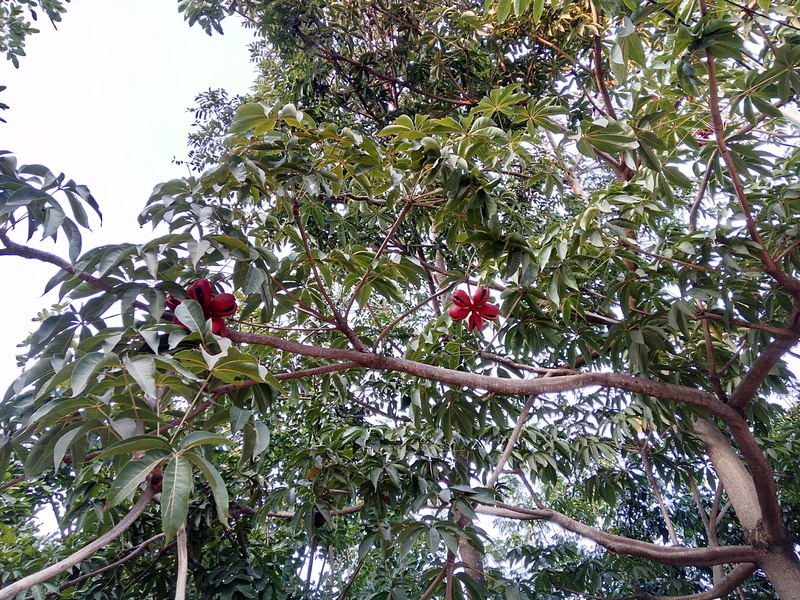 Colors are vibrant and the images are sharp as well. There earpiece is also present under the speaker grill. The usual set of proximity and ambient light sensors are present in the bezel, above the display. It also has a tiny notification LED on the right corner, which glows in blue for notification and in red when it is charging. 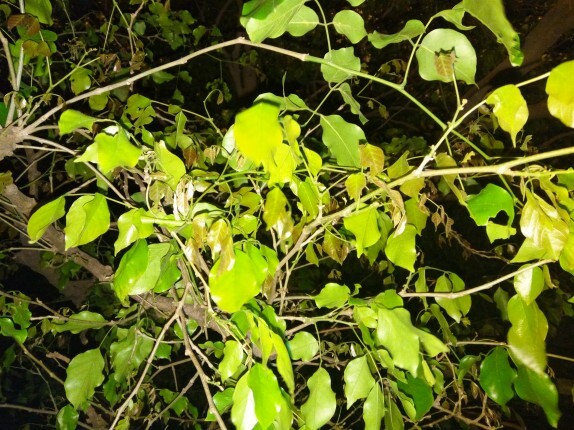 It is hardly visible when it’s off. The phone also has gyroscope and magnetometer, which were not present in the company’s selfie-focused Vibe S1 smartphone. The capacitive touch buttons are present below the display. These are not backlit, but offer haptic feedback when pressed. The second speaker is present below these buttons. Thanks to stereo speakers and Dolby Atmos, audio quality is brilliant. We will discuss more about it in the audio part. 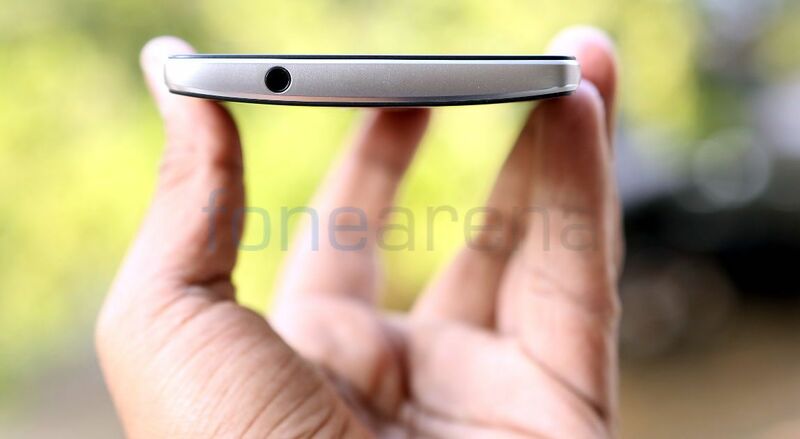 The smartphone has a brushed metal finish on the sides and is 9.15mm thick. 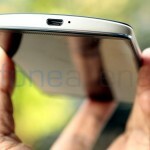 The volume rockers and the power button that are present on the right side also have metal finish. The 3.5mm audio jack is present on the top and the micro USB slot is present on the bottom along with the microphone hole. 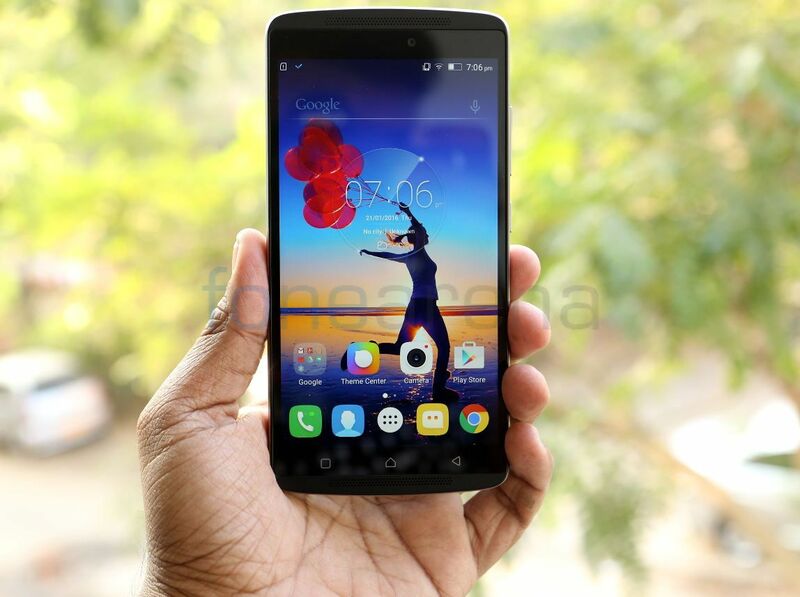 It has a 13-megapixel rear camera with dual-tone LED flash. You can also see the tiny secondary microphone. 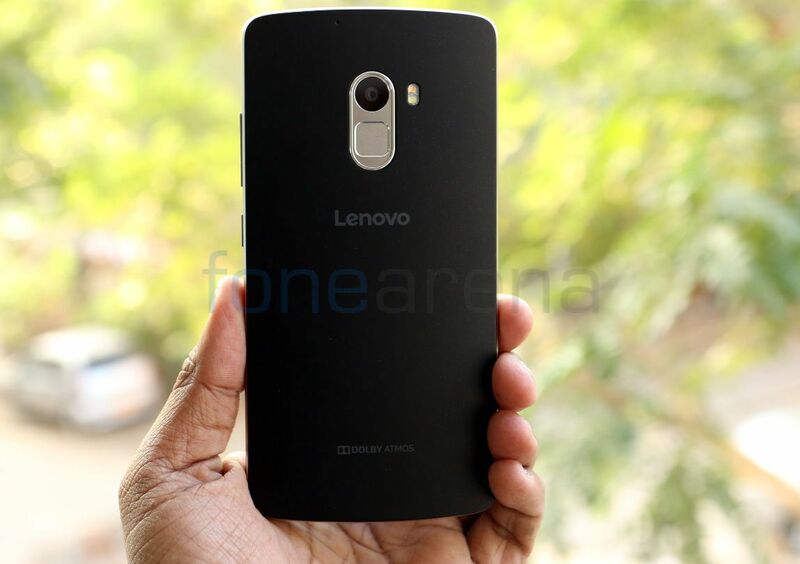 Lenovo says that the phone has three microphones, but the third microphone is not visible. 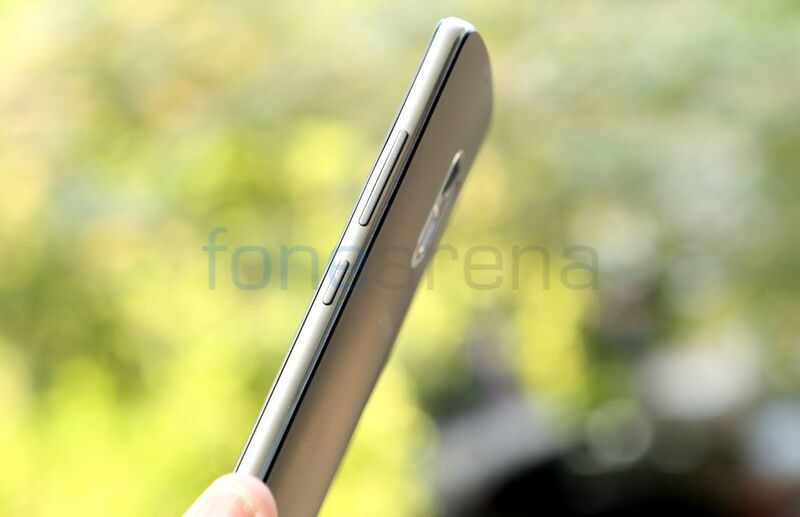 The fingerprint sensor is present below the camera. 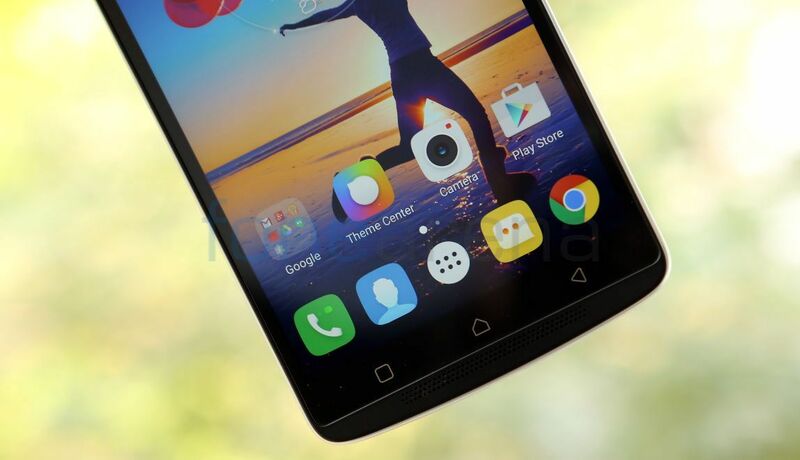 The phone is 153.6mm tall, which is slightly taller than some of the smartphones with a 5.5-inch screen, mainly due to dual front speakers. It is 76.5mm wide, so it is comfortable to hold, but it is not comfortable for one-handed usage, similar to most of the smartphones with a 5.5-inch screen. It weighs 158 grams, which is acceptable since it has a huge battery. The plastic back cover is prone to smudges, but it is not visible since it is black. You can also use the bundled clear cover for an extra protection. Opening the back cover reveals a huge 3300mAh built-in battery. The primary micro SIM slot is present on the left side of the camera, while the secondary micro SIM slot is present on the right side. The micro SD card needs to be inserted on the side of the secondary SIM, so you need to remove the microSD card if you want to switch the SIM 2. 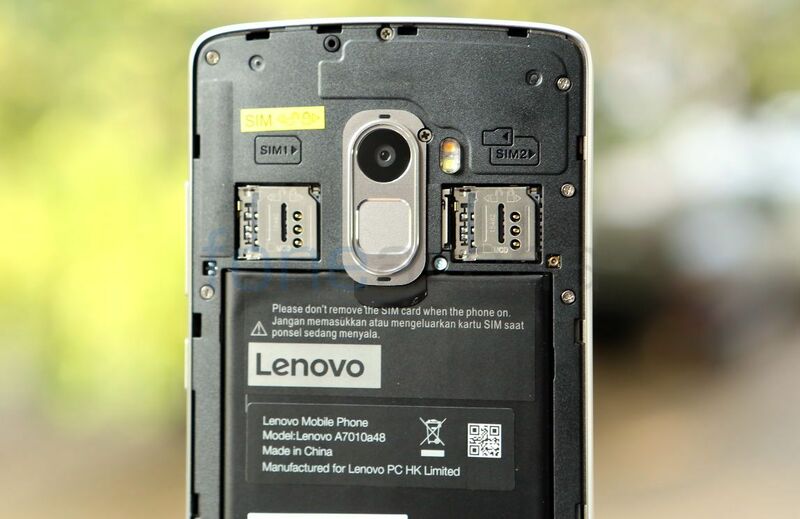 When most of the budget and mid-range smartphones come with hybrid SIM slot, it is a good thing that Lenovo is offering dedicated slots. 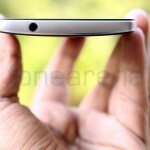 Overall, the smartphone offers a solid build quality. 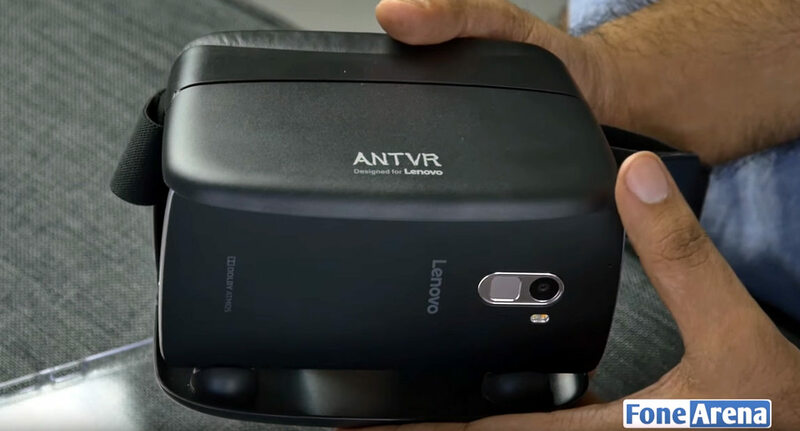 Lenovo sold its ANTVR headset for Rs. 1299 along with a phone, and we got the K4 Note VR bundle that was sold at a promotional price of Rs. 12,499 during the first sale. The headset is similar to Google cardboard, but this has a better build quality and supports phones from 4.5 inches to 6 inches. In addition to offering 360-degree experience for movies and videos, it also has a built-in split-screen mode that lets you view the whole UI using the VR glasses. After enabling this option from the ‘Feature’ you can press and hold the power button to turn on this mode. We did a teardown of the Lenovo Vibe K4 Note recently, here is the video. 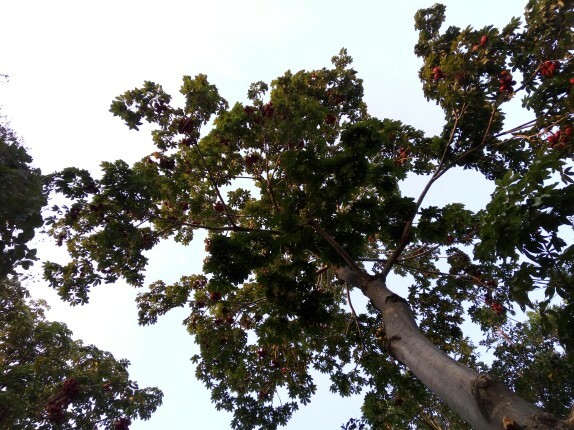 Coming to the camera, the phone has a 13-megapixel rear camera with Samsung S5K3M2 ISOCELL sensor with 1.12 um pixel size, PDAF, f/2.2 aperture and dual-tone LED flash. The camera UI is simple, has toggles for flash, front camera and HDR. The menu option lets you choose Panorama and also has several Effects (Mono, Sepia, Negative, Memory, Gorgeous, Elegant and Cool). 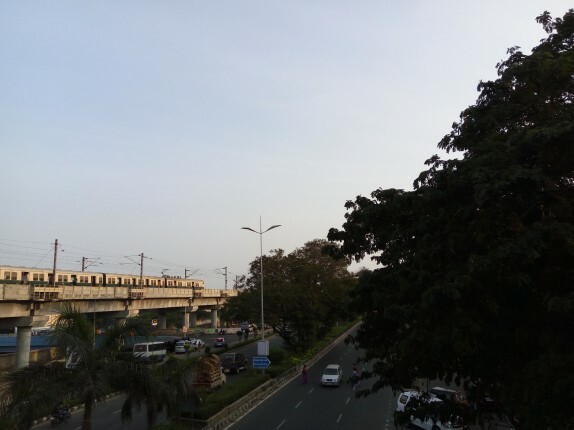 Settings option lets you choose aspect ratio (16:9, 4:3 and 1:1), adjust white balance, ISO (100 to 1600), enable geo location, option to use volume button as a shutter key and more. 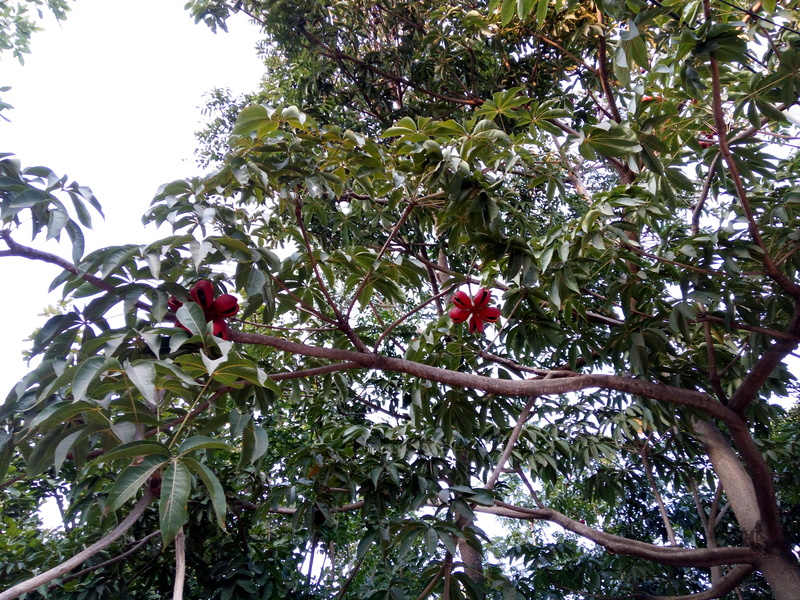 Coming to the image quality, daylight shots are decent, but some images seem dull if the environment is not bright. 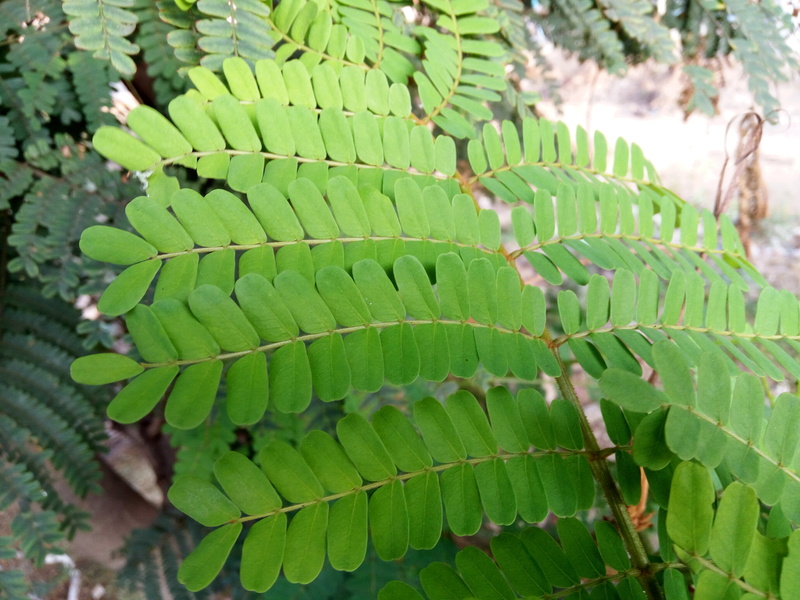 Macro shots are good, but focus is hard most of the times if it is a small object, even though it has PDAF. HDR shots are too bright so colors are not perfect and there are also exposure issues in daylight. 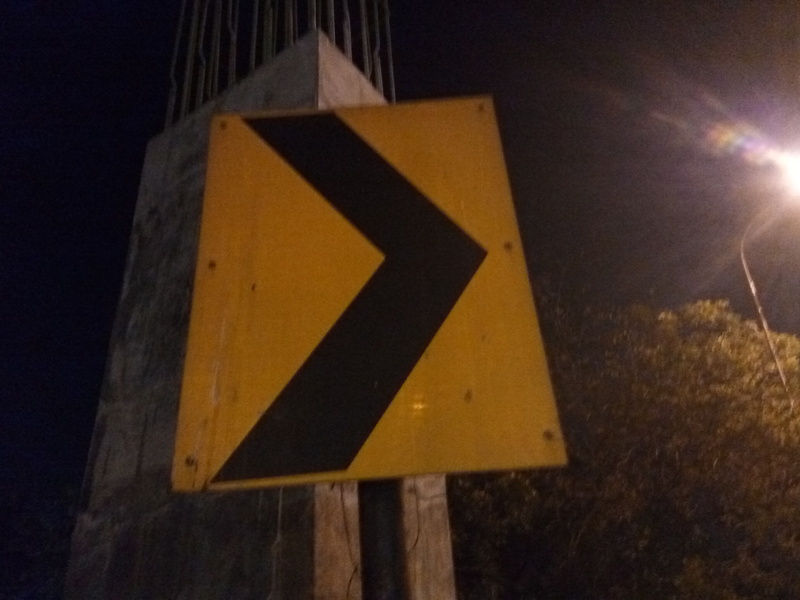 The phone doesn’t have a manual mode. Since this is a mid-range phone you can’t expect such features. 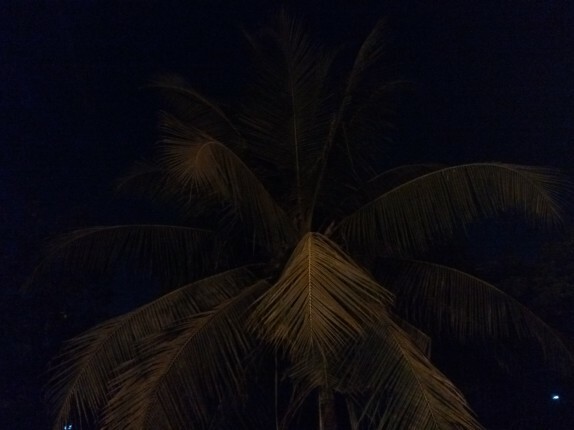 Low-light shots have noise as usual, but the images are not too bad. Images with flash are decent. The dual-tone flash helps to bring natural tone, but it might be overpowering sometimes. 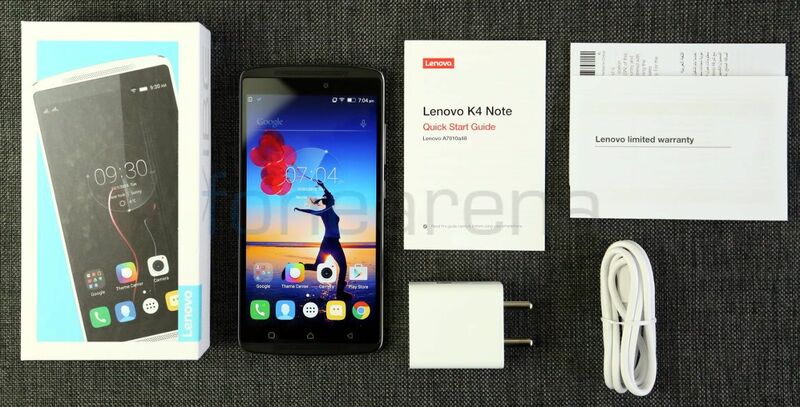 Check out the complete set of Lenovo Vibe K4 Note samples here. It can record videos at 1080p full HD resolution at 30 fps. Video is decent, but does lack a bit in terms of detailing. Audio is crisp since it has a secondary microphone. Sadly, it doesn’t have slow motion recording. Check out the video sample below. 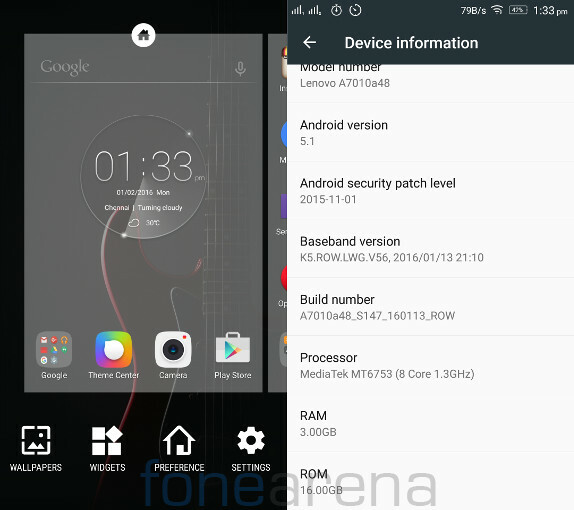 The smartphone runs on Android 5.1 (Lollipop) with Lenovo’s own Vibe UI on top. Android Lollipop brings several new features, including Material design, Multi user support, battery saver and lots more features. The company has not announced when it plans to roll out the Android 6.0 (Marshmallow) update for the smartphone. Quick setting has several features including Secure Zone, Flashlight, Cast Screen, Wide Touch and Super Power. It also has brightness adjustment slider. You can edit these notification bar icons. You can launch the dialer or the camera directly from the lockscreen. 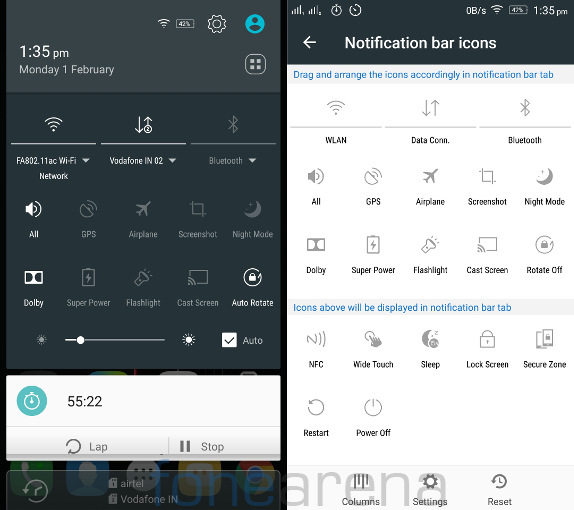 It has Wide Touch option that lets you create a floating bar for accessing utility apps like camera, music, calculator and more. Smart scene lets you create scenes for different time period or places. For example, you, can set the profile to silent at a particular time, turn off GPS when you connect to Home WiFi and more. You can also create different scenes manually. Since the phone has NFC feature, you can use NFC tags to activate a scene. You can enable ‘Knock to light’ option from the settings to enable double tap to wake the screen up when it’s locked. 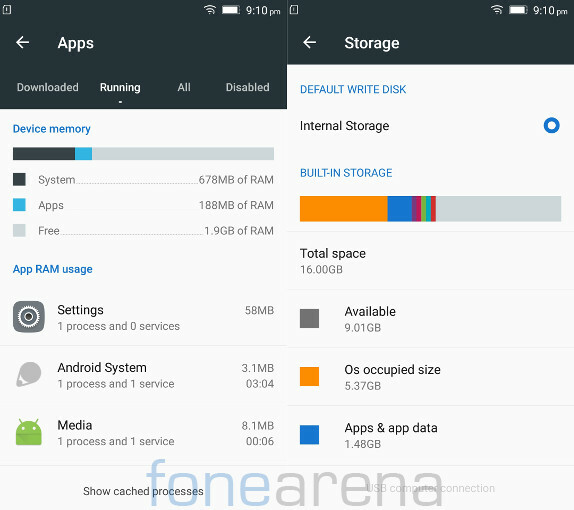 Out of 3GB RAM, 2.84GB of RAM is usable, out of which about 1.9GB of RAM is free when the phone is idle with just system apps running in the background. 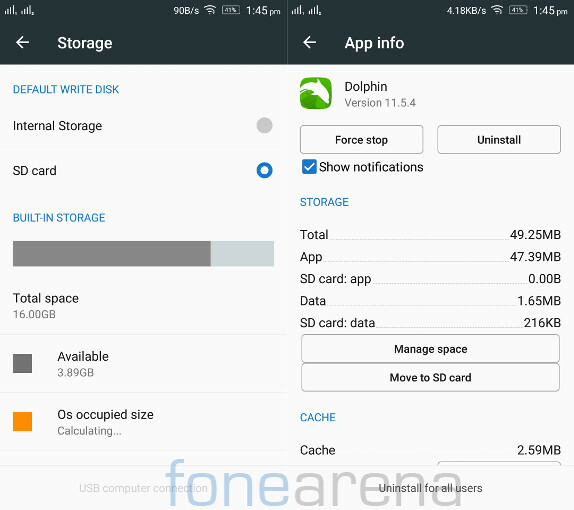 Out of 16GB of internal storage you get about 9GB of usable storage since OS and apps take up about 7GB of space. You can set the SD card as the default write disk. When set, you can move the compatible apps to it. Again, it is a good thing that Lenovo is offering a dedicated microSD expansion slot. The phone has a fingerprint sensor on the back. Placement of the sensor on the back is perfect, since it is where your index finger rests when you are holding the phone. It is quick to unlock the phone most of the times, immediately after you place your finger on the sensor. It gives haptic feedback only when it doesn’t recognize your fingerprint and also lets you quickly unlock the screen, when the option is enabled. It doesn’t recognize your finger properly if it’s wet. 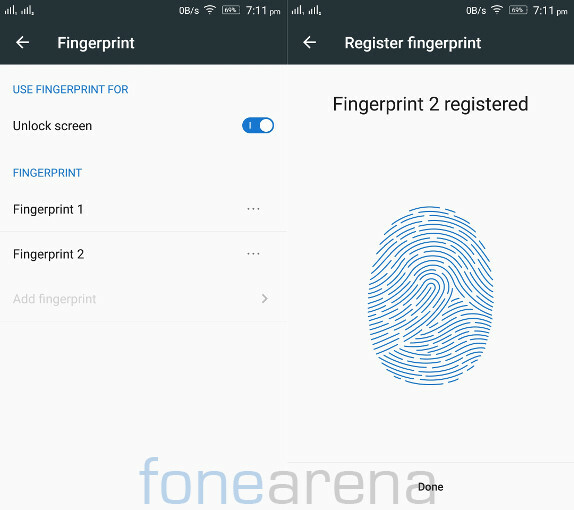 You can only add 2 fingerprints, while some phones offer option to store up to 5. This is acceptable since most will just use the index finger to unlock the phone. 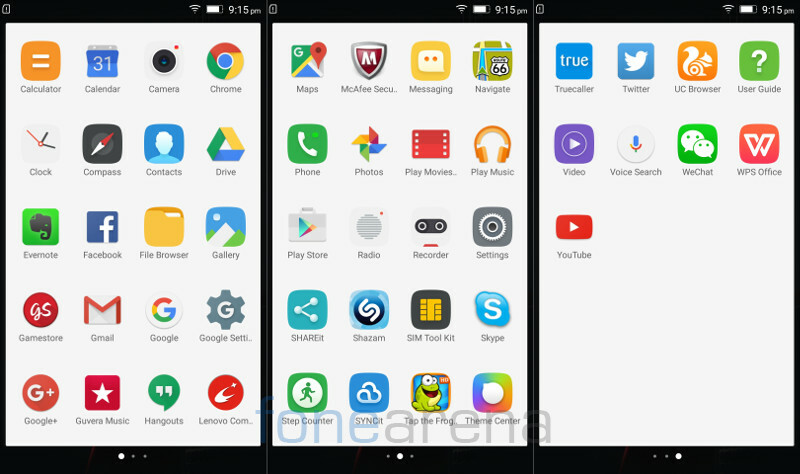 Coming to apps, the phone comes pre-installed with a lot of apps and games. 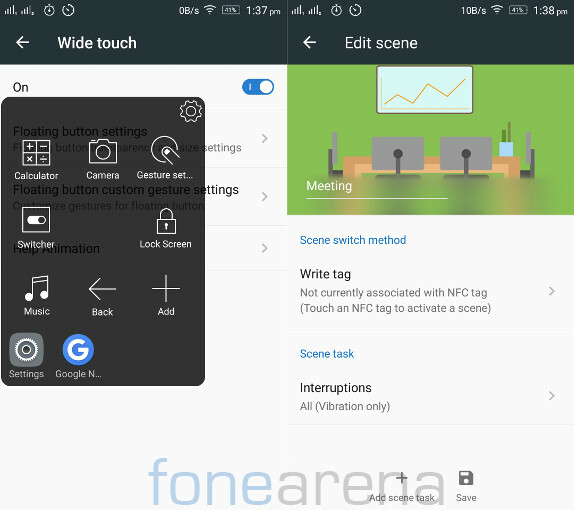 Apart from the usual set of Google apps and utility apps, it comes pre-loaded with Evernote, Facebook, Gamestore, Guvera Music, McAfee Security, Shazam, Skype, Step Counter, Truecaller, Twitter, WeChat, UC Browser, WeChat, WPS Office, and Tap the Frog HD game. It doesn’t have a separate music player, so you have to use Google Play Music. It can play a range of audio formats and it has FM Radio with recording. Thanks to Dolby Atmos, Wolfson WM8281 audio codec and dual front-facing speakers, loudspeaker output is brilliant and clear even in full volume. 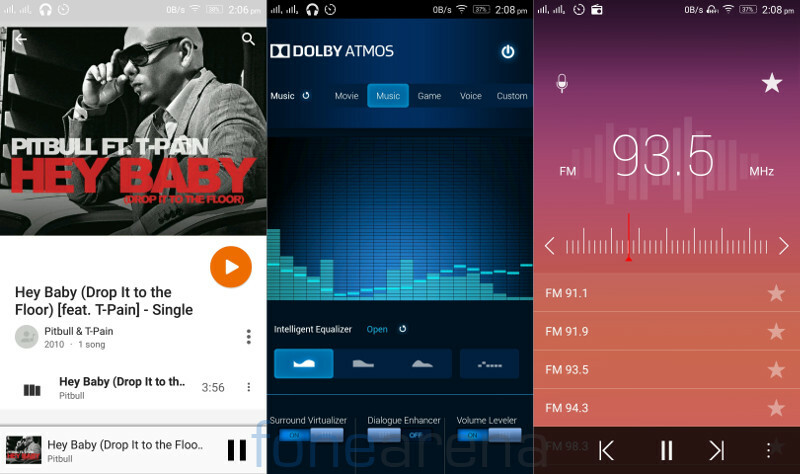 Audio output through headphones is brilliant as well, compared to most other smartphones in the price range. 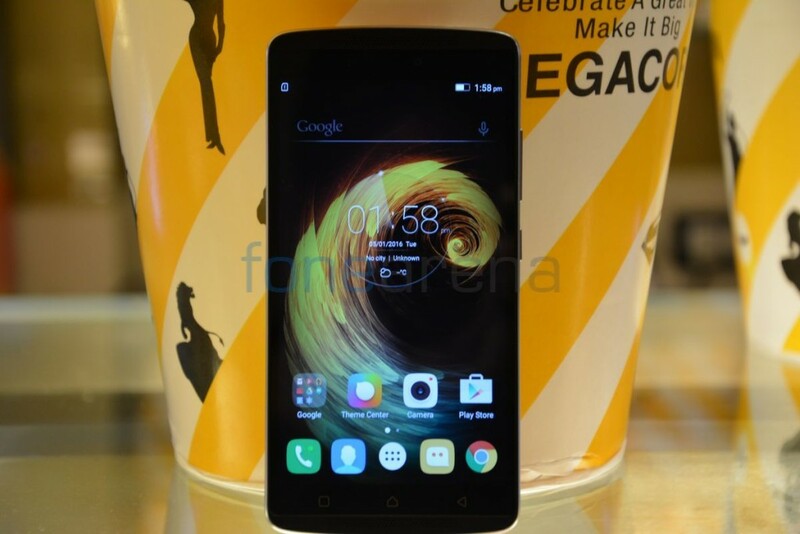 It has 4G support with support of 4G LTE bands (TDD B40 2300MHz and FDD B3 1800MHz) for India. Both the SIMs support 4G, but you can enable 4G only in one SIM at a time, while the other goes to 2G. You can set the default SIM for voice call, messaging or data connection. 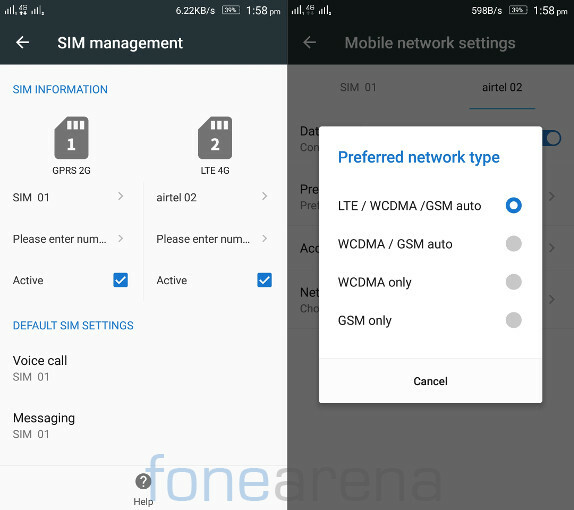 It also has Inter SIM call forwarding option that can forward an incoming calls automatically from one SIM to other when it is busy on other call. Call waiting is free but operators charge for call forwarding. It has dual-band Wi-Fi 802.11 a/b/g/n/ac that you rarely find in phones in this price range. Other features include, Bluetooth 4.0, GPS, NFC and USB OTG support. We did not face any call drops or any other issues. 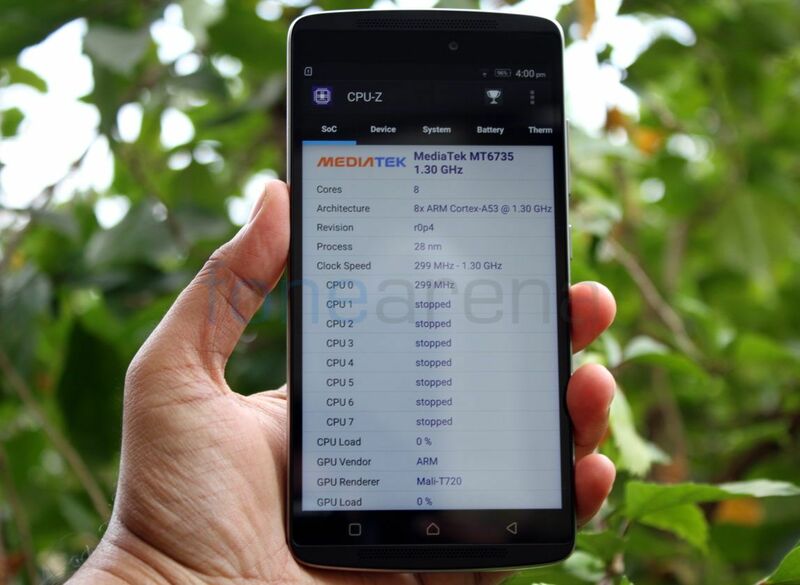 Coming to the performance, it is powered by an Octa-Core MediaTek MT6753 processor (Even though CPU-Z shows it as MT6735) with eight ARM Cortex A53 CPUs clocked at 1.3GHz per core and 3GB of RAM. Performance is good without any lags in the UI even though the UI consumes more RAM. Thanks to 3GB of RAM multitasking is smooth too. It gets a bit warm, but we did not face any heating issues during gaming or 4G use. Check out some synthetic benchmark scores. 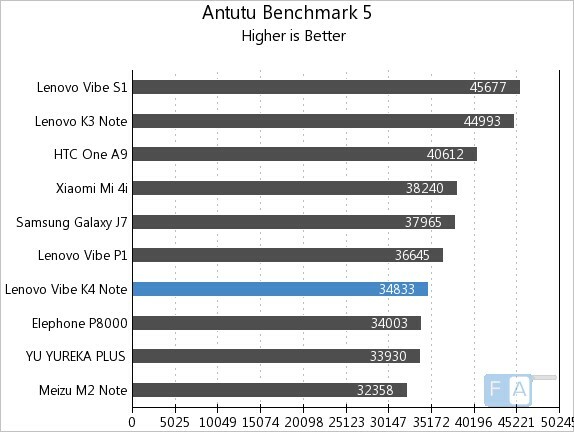 It scored 34833 points in the AnTuTu Benchmark 5 and lies behind the Vibe P1. It managed to score 6856 points in the 3DMark Ice Storm Unlimited GPU benchmark. 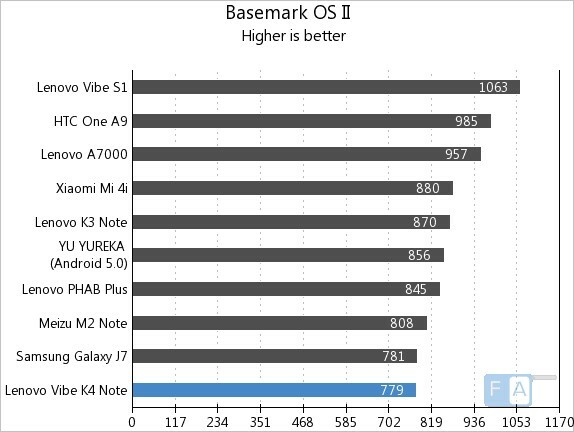 It managed to score 779 points in the Basemark OS II benchmark. 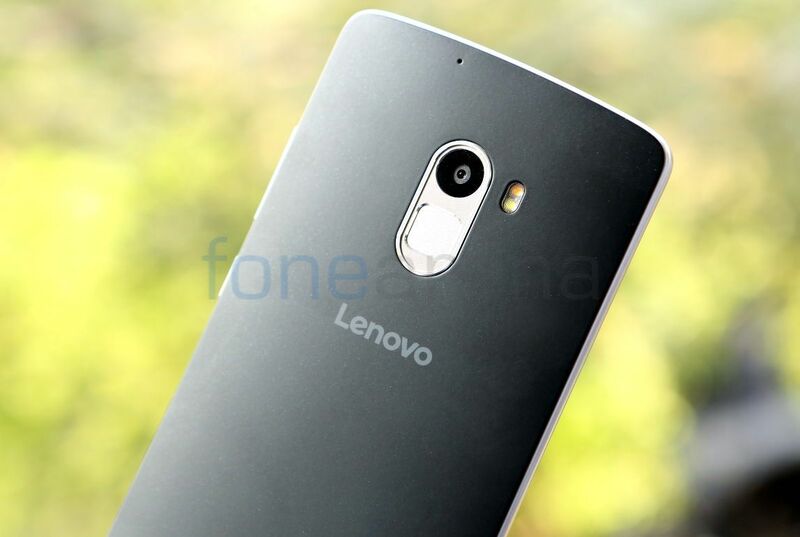 Check out the complete set of Lenovo Vibe K4 Note Benchmarks here. It has 450MHz Mali T720-MP3 GPU. We tested some high-end games on the smartphone. Graphics was good, but the performance is not smooth in some high-end games. Overall it scored 3.5 out of 5 stars. Check out the gaming review below to know more about the gaming performance of the smartphone in detail. Coming to the battery life, the 3300mAh (Rated) / 3400mAh (Typical) built-in battery doesn’t offer impressive battery life. On full charge it lasts for less than a day on 4G with both the SIM cards on use. It has power saver mode that reduces the screen and GPU power consumption, but the battery life doesn’t improve much even with power saver enabled. It also has ultimate power saver mode that enables only calling and messaging for several days of standby. It achieved One Charge rating of just 09 hours and 01 minute, which is not impressive, even though it packs a huge battery. 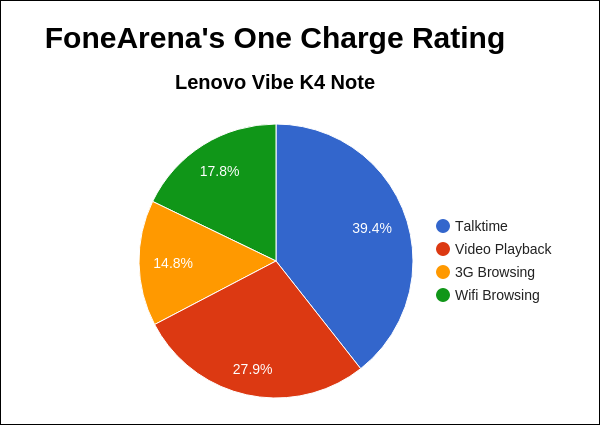 Check out the complete set of Lenovo Vibe K4 Note battery lite test results here. 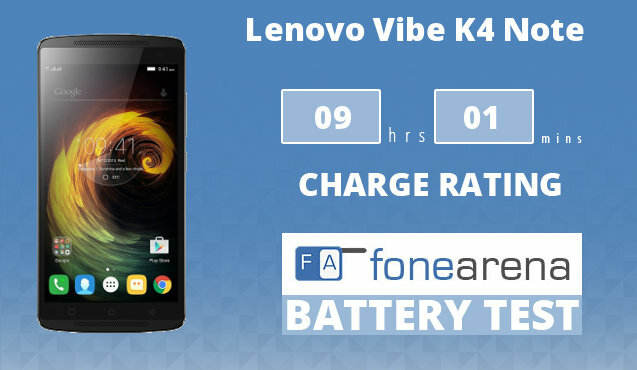 Overall, the Lenovo Vibe K4 Note is an impressive smartphone for the price of Rs. 11,999. 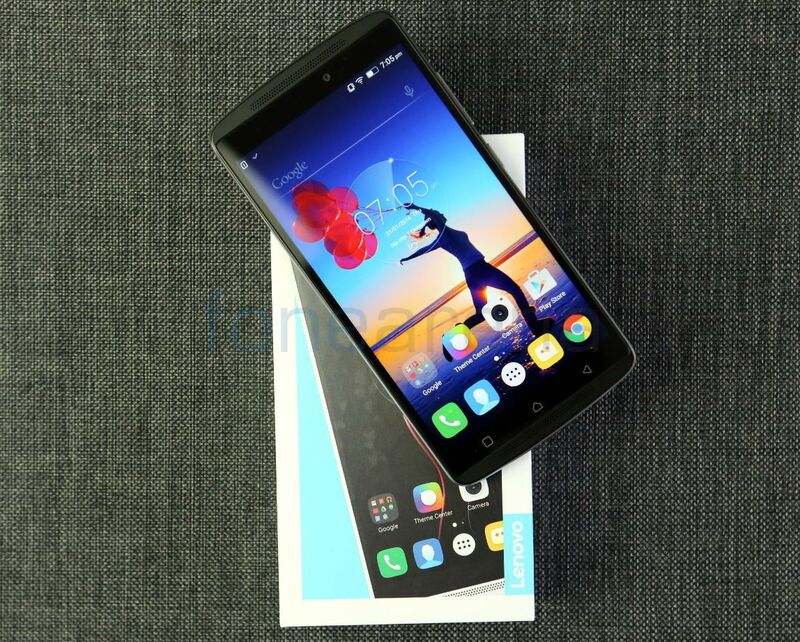 It has a good display, solid build quality, brilliant audio output and a good enough camera. In addition, it also comes with dedicated dual SIM and microSD card slots, what more do you need for the price? Gaming performance could have been better and the battery life is not impressive. This might be one of the best smartphones currently, but Xiaomi Redmi Note 3 Pro smartphone with a Snapdragon 650 SoC, 16MP camera and 4000mAh battery that will launch in India in coming weeks, and is expected be priced similar will likely be better than the K4 Note. 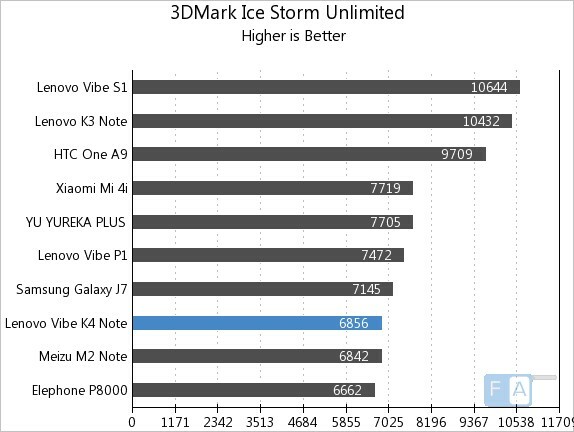 If you have a tight budget and can manage with above average battery life and don’t play high-end games with full graphics, you can easily go for the Vibe K4 Note, otherwise you can go for the Vibe P1 with a huge 5000mAh battery that offers a great battery life and slightly better gaming performance.